The presented room availability, rates and discounts are actual and final for all our 478 hotels in Shanghai. Regarded as the 'Oriental Pearl', Shanghai is known for its intriguing blend of Chinese and Western cultures. This charming old-aged city is not only China's center of economy, finance, trade and navigation, but also a cosmopolitan metropolis on the western bank of the Pacific Ocean. Just like magnolia in bloom (the symbol of the city), Shanghai is full of life and vitality. 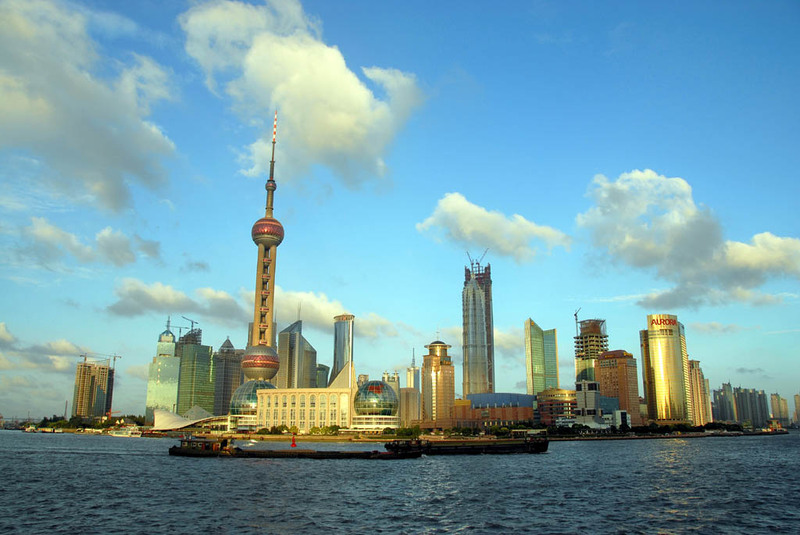 Shanghai is one of the most populous and developed cities in the People's Republic of China. It is located on the estuary of the Yangtze River. North of city, the river pours into the East China Sea. Owing to its advantageous geographic location, Shanghai has become a prosperous busy port. Shanghai dates back to the Neolithic Period. This area was marshland until the Song Dynasty (AD 960-1126), when Mongols and other northern nomad invaders officially established the town. The increasing trade turned Shanghai into a prosperous place. By 1291, it became a county capital. After that the economy saw even greater development, especially in cotton and textile industries.